The topic I have been given for the test lecture can easily occupy me for an other five years. If I try to make an exhaustive presentation of the relationship between live action role-play and culture, I will have to do a world-wide study of how participants use, shape and perform their many different types of games. So if I want to do something meaningful in the 45 minutes I have, I have to limit this. I have to restrict myself until it's a tiny little topic that will fit into 10 pages of text. So here are my initial limitations: I define Live Action Role Playing as full immersion LARPs - what in Norway is known as a "laiv" (from live). I will focus on the LARP culture in Norway. I will interpret culture in an anthropological sense, and thus include tradition, myth, folklore as well as present day Norwegian culture. Since there is no real question in the topic, I will not attempt at making a conclusion, but think of the lecture as a presentation of the RPgames and how they (in Norway) connect to culture. To the extent I go abroad in this discussion, it will be to demonstrate how the Norwegian laiv is flavoured by Norwegian culture, while it's part of a youth culture movement which has spread over the world over the last 30 years. I will probably redo this many times in the weeks to come. Hyperion - Norsk forbund for fantastiske fritidsinteresser. "Live Action Role Playing (LARP) as cultural phenomenon"
If you want to hear all about that, make sure to be in Volda, at the College, 11th of September, 16.30. And if anything goes wrong during the lecture, I can just blame the demon of the day. There are two distinct voices in the assessment of the thesis. By now I recognize them by the first couple of words. They are very different in the words they use, in the questions they ask and in the digressions they make. When I pick a new strip of paper from my heap, it's like meeting familiar faces: "Hello, we just talked, that was the other topic you addressed just on the last strip of paper. Now let me explain to you what this really means..."
(as I know you all do, in painful suspense as the last days of my non-defended pre-doctorate life tick away relentlessly), read Game Research's history and genres links - a clear if somewhat simplified description og game genres, but with some good and interesting descriptions, for instance of the Adventure game. This is the press release, which it's part of my duties to write. It's in Norwegian, as I don't anticipate international press coverage. If somebody really want to represent international media at this defense, they should get in touch, and I will personally translate. Pleasures of the player: flow and control in online games. Avhandlingen tar for seg hvordan tekstbaserte dataspill på nettet, MUDs, brukes av spillerne. Den utforsker forholdet mellom rollespill og fortellinger, særtrekk ved gode dataspill og hvorfor flerbrukerspill på nettet er så tiltrekkende for deltakerne. Torill Elvira Mortensen har spilt dataspill, særlig nettbaserte flerbrukerspill, og intervjuet spillere hun møtte i disse spillene. Det som skiller spillene ut fra andre underholdningsmedia er hvordan de gir spilleren innflytelse over opplevelsen. De er sosiale aktiviteter som oppmuntrer til samhandling med andre mennesker, og utfordrende områder som stimulerer problemløsning, utforskning av det fremmede og ukjente, og kreativitet. Torill Elvira Mortensen er født og oppvokst i Ålesund. Hun er cand. philol i Massekommunikasjon og kulturformidling ved Universitetet i Bergen (1990), og underviser ved Avdeling for Mediefag ved Høgskulen i Volda, hvor hun har vært tilknyttet Informasjonsutdanninga siden 1991. Doktorgraden er finansiert av Norges Forskningsråd, SKIKT-programmet. Dette er den første doktordisputasen som blir arrangert i Volda. Torill Elvira Mortensen er den første fast ansatte ved Avdeling for Mediefag som tar en doktorgrad, og blir eneste kvinne med førstekompetanse ved avdelingen. Hun er gift og har to barn, 15 og 17 år gamle. Prøveforelesning: Torsdag 11. september, klokken 16.30, Høgskulen i Volda. Disputasen: Fredag 12. september, klokken 10.15, Store Auditorium i Berte Kanutte huset, Høgskulen i Volda. I am not alone. That is the great part about doing the defense here in Volda. Ingvar Elgesem, our administrative director, keeps a keen eye on the formalities, negotiating protocol and procedures with the University of Bergen, while making the practical parts of the defense happen. Sverre Liestøl, our dean, is cutting through the worst knots of who does what and who spends money on what. The sum the University gives the institutes in order to arrange the practical things around the defense (travel and board for the comittee not included) is almost symbolic, so Sverre manages to find what else is needed to print and publish. Thomas Lewe has made the cover for the thesis. It is so beautiful, I'll want it framed on the wall afterwards. Øystein Sande takes care of the type-face. If I hadn't done the defense here, I'd have been spending my days going through the thesis looking for stray fonts now, not struggling to read the assessment. Jan Ole Bolsø is taking care of the defense dinner. It's one of those things he does for a living (among innumerable other things, all useful), so it is running quickly and smoothly, and I can just lean back and send him addresses for invitations. I may at times yell and rant and kick and scream at these men; for their pigheadedness, meanness, inability to understand and sheer contrariness - but once you are embraced by this department, you're not just an other colleague, you are family: with the good and the bad. And right now, it feels so, so safe. As mentioned, I was notified of the defense date almost a month later than I should, in order to organise everything in time. That means that I also received the comittee's comments on the thesis a month late. I was feeling pretty relaxed about that the first days, because I was so relieved that I had passed at all. Today I am panicking over it. First: it's more than five months since I submitted the thesis, and it is about 400 pages long, including attachments. I have three days to get a grip on it. Second: It has taken me five days to manage to sit down and really look at the assessment. I have skimmed it, and found "more important" things to do. Now I have to face it, and I find that I still can't do that. Third: Volda College has never arranged a doctorate defense before. The infamous Media Department in Volda can do anything, as long as we all want it, and yes, all want to arrange this defense and the ensuing party. It's just that nobody knows what needs to be done, and we have 300 students arriving at the same time. I really should complain. I really should start yelling, and tell the people who have planned their autumn to include a visit to Volda in the middle of September to reschedule. I really should assert myself, something people think is so easy for me, loud, visible and uninhibited as I appear, and demand the month I lost to the administrative errors. Give me a month, and I should be able to read that assessment. So here is what I am doing right now. I am cutting the whole thing into paragraphs, using my very sharp scissors. I will read a paragraph at the time. I will read it disjointed and jumbled, and see what I can do about the argument before me, without linking it to the devastating argument over or under on the page. Doing this I am asserting my power over the criticism, which, right now, does feel like an attack. Hopefully I'll manage to read all the bits and pieces before the test lecture. If not, we'll see at the defense if I can fly. 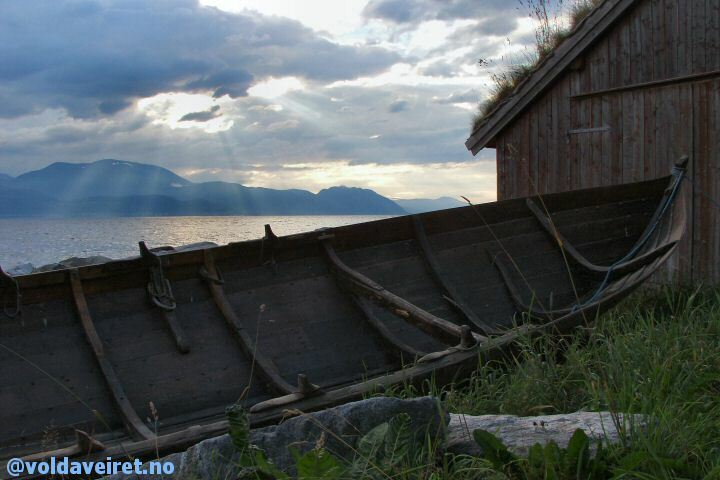 Or rather, as we would say in between the lovely fjords of Norway: If I can row. Most MUDs don't go as far as they might have, because the staff can't cooperate. Salmagundi is down for a while, as we are looking for a new host. Too many people who think of the game as their personal toy is not good for efficient creativity. So we are off to play elsewhere, and kyndig.com doesn't take you to Salmagundi any more. Sad, but that is how MUDs spawn! I think I may have found the reason why english speakers constantly typo my name. It is actually a word: torril. (n.) A worthless woman; also, a worthless horse. So that's me: a worthless woman, or perhaps a worthless horse. Flattering. The only thing I have written lately which is written by a female is the previous post. At least according to the Gender Genie. Perhaps that other woman is a man? Or perhaps I am a man who dreams of being a woman? Genie by way of Jill/txt. She's somewhat manly, too. Today, I have this intense urge to rewrite myself. I have a cold and an accompanying headache, I am drifting aimlessly in a lull during the (rather intense) preparations for the defense, I am broke after buying two new pairs of glasses for my son (yes, he needs two, or we'll all be spending half an hour every morning finding them) and it's three weeks until next payday. I need a new passport, which isn't all that expensive in itself. But because the US has changed their visa rules it has to be machine readable, which means I have to go to Oslo or Bergen to get it, as little places like Volda don't have the machinery to produce those passports just yet - and the ticket to Oslo is not insubstantial. It's not exactly just around the corner. So who would I be if I could rewrite myself? I think I'd be an egoist. I'd be single. I'd live in a city, not neccessarily in Norway. I'd make enough money to pay for the appartment (small, but elegant and always tidy) and the student-loan and still have a little left over, so I'd probably not be an academic. A journalist perhaps. It's probably what I'd be if I hadn't needed a steady income immediately after I finished my main subject. I write well, I learn quickly, people trust me and talk to me, and I do quick and thorough research. I am also a passable photographer. Yeah, probably a journalist in one of the medium to large papers. Not the hot-shot front page one, but the one who could always be relied on to deliver the bread and butter of the paper. And the culture-stuff, the reviews, not the gossip. I don't do gossip well. I'd have a mixed group of more or less steady lovers. Other single people like me, who didn't need a close monogamous relationships, but would prefer comfortable friendships and civilised passion at appropriate times. I'd meet them in cafés and we'd go to movies, plays and exhibitions together. Once in a while I'd go with them on vacations. Most of my travelling I would do alone. There would be herbs in pots on the tiny balcony outside my livingroom, and the livingroom would be a shared work and leisure space. The guestroom would double as a room where I could paint, sew or play around with the different crafts projects that only my family and close friends knew about. There wouldn't be too much time for this, because I'd be busy at work and busy with my friends. That's why it would be so important not to have to clean up every time I had started something. When I didn't get engaged in deep cultural discussions with my cultured little circle of friends, do creative crafts projects, write important, meaningful articles and travel to new and interesting places, I'd be writing the big novel. You know, not Bridget Jones, but the other one. The one that would connect all the dots for the reader, the one that would make meaning emerge from the shallow waters of modern life. The one that would explain all the small frustrations, give them a place in the larger image of the world, and connect our individual lives into the collective consciousness. And it would be a wonderful novel. Each paragraph would be a gift or verbal delight, fresh, fluid, changing but clear. Each chapter would brings a new realisation. And they would drip from the tips of my fingers uninterrupted, in that organised, uncomplicated flow which would be my life. Problem is - I think this rewrite of myself is a lot more boring than the life I live. There would be none of the glaring inconsistencies that fill my reality. Everything happens in a kind of flat, comfortable twilight (with fuzzy filter for dream-like effects), I see no bright peeks and no deep dark abysses. I think if I dare write the unedited version of my life when I reach old age, the woman who writes that book will be a much more interesting person than the other one, the one I'd like to be right now. And she, the single one, probably dreams about being me, love, pain, insecurity, ambition, responsibility, spent paycheck and all. For when you need to know what is what in a different world. David Gallagher, of the wonderful photo blog Lightningfield.com, posts pictures of the blackout in New York. The fascinating part is that despite the total lack of electricity along the main lines, when you look at the pictures that give a bit of a view of the town, it's not blacked out at all. There are still signs lit up, there are whole floors in the sky-scrapers where all rooms are lit, there are stores filled with an odd, blue light, there's even the entrance to a cinema flooded with light from within. I assume that these pinpoints of light represent emergency generators, resourceful people with batteries and torches, and of course, there are the cars. But it's still interesting - almost poetic - how the Manhattan skyline is dotted with light, even at the darkest hour. Thursday 11th of September, 16.30, Volda College. This is the test lecture. Friday 12th of September, 10.15, Volda College. This is the defense. Splendid nature, intricate discourse and arcane academic rituals. All free at the cost of a trip to Volda. Somebody have been sending out emails with my address as the sender, emails containing the annoying and widespread worm SOBIG.F. This morning my mailbox was stuffed with alerts about emails stopped due to attachments containing this virus, and a few emails alerting me that my address had sent out this worm. I am checking my own email and computer right now, and the updated virus control (Norman) has not found anything yet. It's unlikely that any genuine emails from me contain the worm: I am checking and rechecking. But if my email stands as the sender of a wicked screensaver: DON'T open it! I promise you, I don't have wicked screensavers on the computer. They are all running in my mind. Of course, as the complexity and number of rituals dawned on our administrator, he asked carefully if routines couldn't be adjusted a little bit, to suit the less formal, more populistic nature of the District Colleges. "Oh dear no," was the reply. "There are regulations for this, and they can't be changed by the 12th!" So our dean, who strolls through life in blue jeans and a dongeri jacket, will be representing alongside the dean from the Faculty of Arts wearing velvet robe and silver chain. How to counter that? I am also not sure where we ought to have lunch. In Bergen that's normally at some rather nice restaurant. Here we can choose between the tourist hotel and "Dirty Nelly", a semi-irish pub. I think I may enjoy this. There will be so many absurd little details revealed before we are done (in just a little over three weeks!) that I will hardly have time to be nervous. For all of us. I mean - if they can manipulate that much on an already goodlooking body, they ought to be able to take a few years and kilos off us with no such hich model expectations? Even with all the work the IGDA is doing to build bridges with academics, there's still a (somewhat diminishing) sense that games are not worthy or are trivial. Well, Gee warns that "Shakespeare in its time was popular entertainment, and that the elite looked down upon it. We all know that some of the things that kids know now will be elite knowledge." "My colleagues thought I was crazy," he says. "Fortunately, around here they are very tolerant of letting senior faculty do what they want." The truth is that in most academic institutions, senior faculty have a lot of leeway. And the people who learned to use and enjoy computer games are quickly coming into these positions. Games and computers are old enough by now that they will be a natural part of the objects of study, simply by being a natural part of the lives of the researchers. Class never leaves you. There is a reason why it is only recently I have started to like fish. One good thing about getting the students back and the teaching started, is that it gives me the best of all excuses. When I get invited to all those meetings, you know, the ones where they want you to commit to some ... plan that you'd rather not hear about, but that you need to sit through and listen to for hours, and then afterwards write a negative albeit inoffensive evaluation of, I can now say: "I am teaching at the time, and not available." Doesn't always work, if the other person is persistent and flexible, but it has about 70% success rate. In a dark time asks a vital question: Where do the children play? I find that this is one of the most important questions in modern society. If you read this article by Henry Jenkins, Complete Freedom of Movement, the question links directly into our culture of games which are soundless and physically restricted: video and computer games. Today, children either break the law, or they escape inwards. Either way, our society has a problem. And the problem isn't created by the games we make to be able to control our children, but by the options we give them. The one thing we have forgotten, is to give them space. That's one of the main headlines when Norwegian experts comment on the loss of electricity in the large cities down the US east coast. But while New Yorkers waited in elevators for the electricity to return, other Americans waited in busses between avalances in order to continue their trip to Dombås and dinner. Last night it rained so much there were floods all over the North-West of Norway. Roads were flooded, camping-places had to be evacuated, and rivers dug new paths. But reliable sources close to the comittee claim that my thesis has been accepted, unanimously. According to the same sources, the opponents are booking tickets to Norway, and the defense will be some time in September. I wonder if they had planned to let me know, or just spring it as a surprise party? Over the years, I have been comforted several times by a certain joke I found on the net, The Rabbit's Thesis. For those of you who have not heard me tell it yet, I just want to warn you that the page I link to has pop-ups. I am awfully proud of my sisters, and so I would like you all to see some of what they are up to. Dressing for fun is my sister Unni's first website, and it promotes my sister Valborg's felted hats and "oddities". Somewhere in there it's even a picture of my daughter, modelling one of Valborg's products. Well - perhaps you need to look at this with the same loving eyes as me to understand the genius of it, but like Francis, I happen to know the story behind. Most important is that I will like us to meet face to face in Dubai immediately for familirization and to work out modalities for the transaction. If you are interested to assit me, You can contact me immediately on my telephone for us to expartiate action on how to relocate the fund to your country for a lucrative investment. I am Prince Melvin Guei, the son of Mr. Robert Guei of Ivory Coast in West Africa. My father was the Ex. Military President of Ivory Coast who was brutally killed along with my mother Mrs Rose Guei on the 19th day of september 2002, by the troops of the incumbent President Laurent Gbagbo. You have to mentain the highest confidentiality for now in this transaction due to my present situation. Oooops, sorry about that Prince Melvin. I am not quite used to receiving royal letters. I hope you'll send me the roundtrip ticket to Dubai anyway? For some reason, this hoax letter was just nicer and more fun than the others. It's so much more entertaining to be spammed by the prince, son of the late mr. and mrs. Guei, than by the assistants of some corrupt minister. A link from Corante on blogging brought me to a post on the weblogging versus journalism debate. In this post Tom Coates at Plasticbag.org points out that journalism and professionalism still has an advantage to bloggs, despite the fact that journalists occasionally don't get all their facts right either. As I have mentioned before, debates on the meaning of blogs are getting slightly over-serious. Weblogs are a lot more than just one thing. Bloggers are more than one type of people. Some weblogs actually have behind them a brain trained and with research resources far higher than what a newspaper can afford. I don't think you can find many people who know more about games, hypertexts, software development or interactive narratives than the people who write some of the blogs on my linklist. They have the opportunity to spend their lives studying and researching these topics. It would have to be an extremely good journalist to be able to write better in their specialised field than those people do. However: they are just a few out of millions of bloggers. If I go randomly into the newly updated blogs on blogger.home, I find ZenChristian, a blog which leads a philosophical discussion on the combinations of zen and christianity that came out extremely low on my trust-barometer. Out Loud did much better with me though, I liked the cool picture in the heading, and the writing is unpretentious and personal, reporting from her everyday life - a typical blog. The Inner Workings of my brain by Suzanne is however a treat I don't mind passing... as there isn't evidence of any common interests in what happens in her brain and in mine. So, since the net is big enough for both of us, I'll leave her to her bytes of it. What we tend to forget when we discuss blogging, is that all kind of people write blogs. Yes, that means that some bloggers do their blogging better than most journalists do their jobs. It also means that a lot of bloggers have absolutely no clue about how to edit and shape their writing into anything others than they would be interested in. But that doesn't really matter! Blogging is not something which belongs to the definitions or the institutions, or even the readers. Blogging belongs to the individual that takes responsibility for the act. And that person, whoever he or she is, writes a unique blog that cannot be replaced by any number of perofessional journalists. It just wouldn't be the same. And that is what I really love about this. Not all words we have given the english-speaking part of the world are as positive as this one. Skulk, for instance, is a Norwegian word for sneaking away from your responsibilities, and an english word for sneaking more or less in general. And for a collection of foxes. An other word is quisling - a name turned into one meaning only: traitor. By way of the ombudsgod. Fun is Fine is an article about the philosophy of game design. The basic statement of the article is that it's OK to make fun games, because that is what games are about. On his way to this, David Kennerly says something I have been saying and writing for a long time (although in my not-yet-published thesis, so I am not saying that he got that from me): "Narratives, which includes most films, and games differ dramatically, because games don’t tell stories, players tell stories." And that leads us back to the old narrativity discussions. While I like Kennerly's article, and he says something basic about the pleasure of games, the references are mostly from writings on the practice of designing games, not on the philosophy of it. While many of us are tempted to ignore the academic narrativity discussions around computer games, they are so well-documented that its absence in references is almost glaring. If what Kennerly wants to write about is the philosophy and not the technique, I would expect a little more about game theory from a philosophical, cultural and academic position. But as a short defense of the fun in games, it's good! By way of Grand Text Auto. In the area between private and public, the weblogs or blogs have become tools of personal expression. While news-media and academic discussion focus on the high-end of public journaling: the blog as a tool for research, for spreading news, for stating opinions and for collaborative projects of a culturally acceptable quality, the blog has become a tool, a medium and a channel for a lot more than high culture. In this paper I wish to treat blogs as a medium, and through cultural theory concerning the public sphere and the conflicts between “high” and “low” culture explore the blog’s position between public and private. Blogging compares to other media where these conflicts are expressed and even exploited, using the structure of the reality drama through the continuity, the angle towards the personal experience and the repetitive dramatic curve, newspaper columns through the social, political or simply entertaining commentary on current events, and autobiographies, public diaries and travel-letters, in blogging most common as travel-logs, a well-established blog genre. Where traditional media make short-term, controlled excursions into the private sphere, blogs penetrate deeply, claiming for their own the territory between mass publication and the personal diary. In this article I am addressing the playful or simply personal weblog that most of the time escapes public notice and rarely makes its way to the prestigious blogrolls. I wish to explore the structure and content of what Pierre Bourdieu might have called “the barbaric blog”, in order to discuss moral and ethical aspects of amateur publishing with its potential for world-wide public attention. This is the abstract for my paper to the online collection Into the Blogosphere. I don't know who else will submit papers for this yet, but I know that several of the people I like and admire who write of new media and online publication will be represented in this collection. I am pretty sure to be in exellent company! The deadline is December 1st, and for the first time for a long while I am looking forwards to the writing process! I have always liked writing, and deadlines have inspired me, but the thesis almost killed that pleasure. Now it feels like that hole in my time will be filled, and I am anxiously looking forwards to the process. Fun! It had to happen. And today is the day it happens. I have heard more raised voices, angry and unhappy statements, and unarguable reasons for not doing the work they should today than I have for - ummm - well, a year, I guess? Since the last time I was trying to patch the semester plans together? But all I really lack now is somebody to do the group dynamics interplay next week. 4.2 hours, mixed lectures and exercizes. The woman who was supposed to do it, will be in hospital. But while I search for a replacement, I wonder if we shouldn't send the whole department off to have the biorythm checked. She confessed her anger. I confessed my disappointment. But there was no real betrayal, and so time has healed any wounds inflicted. It still felt good to touch each other's fading scars, and know we could do that much to aknowledge the past. There is a hole in my time. I have filled in the time for family, for recreation, for working out and other types of maintenance, for planning, for teaching... and then suddenly, there is a hole. Research, writing, conferences, publishing - it's empty. I don't despair, because I can still feel things that nibble at me from the edges. Three different potential directions to take my research: Larger games and graphic ones is one, personal publishing and the public sphere is another, a combination of both is the third. And that is before I start planning the study which will revolutionize net-publishing and throw overboard everything you thought you knew about integrating the old and the new media. OK... I think I'll sit here and just enjoy the jagged edges and the mysterious depths of that hole for a while, before I decide how to fill it up. The new editorial assistant at Eastgate is Elin Sjursen! Congratulations, Elin, good for you! The thing with living surrounded by dramatic and beautiful nature in Volda is that when we see something like this, it's ingrained response to not even reflect on the romance of it, but think: "Oh, Ola should have thought before leaving his boat out all spring, and now he'll have to give it an other layer of tar and that's such a dirty messy job... Hmm, it stopped raining. Good. looks like sun. Perhaps I'll stop at Ola's place for a cup of coffee." Steve Krug: Don't Make Me Think is a simple, but useful and clear book on web usability. It's on the reading list for the students this year, and looks promising. Justine Cassell and Henry Jenkins: From Barbie to Mortal Kombat is a collection of articles of varied quality. I bought it for an article by Henry Jenkins: "Complete Freedom of Movement". It's one of the most sensible articles on children, new technology and play-spaces (although it's not that interesting as a way to document gendered play-spaces) I have read. And yes, I am aware I can get that article online. I am hoping to find something else that is sensible and useful in that book. Gerard Jones: Killing monsters, why children need fantasy, super heroes and make believe violence I am one chapter into the book, and I find myself nodding all the time. Jones questions the methodology of the many reports that show that children become more violent from watching television, and discusses the many alternative reasons for this effect. I am going to ask the library order this one for their collection. Men så kommer det en student inn på kontoret mitt og forteller meg ting hun aldri kunne fortalt en mann. Eller hun lar all sin egen frustrasjon og angst i et samfunn som fremdeles er en mannsverden strømme ut av seg. Eller hun kommer innbitt og rasende med et prosjekt hun ønsker å gjennomføre, fordi hun trenger en veileder som kan hjelpe henne å forstå, å se, å sette navn på glasstaket, på fellene, på nedlatenheten hun blir møtt med. Og så er jeg kanskje på rett sted likevel, rett kvinne på rett plass til rett tid - for enda et kull med studenter, hovedsaklig kvinner, i en avdeling hvor det finnes en - 1 - kvinne fast ansatt på heltid i en faglig stilling. And to the English speakers out there: This is an angry outburst at the socalled equality in Norwegian Academia, frustrations vented, prompted by an article that confirms my everyday experiences as an academic. If you are a female academic, you probably know what I have written, if you are a man, just ask your nearest female colleague what it's like to be a woman in Academia (hopefully the ratio is better than 1:20 and she isn't sickened by the topic) and she'll be able to tell you pretty much the same as I just wrote. And just for the record - a male colleague sent me the link to the article. (other than maniacally blogging everything), start checking the weather. This shows the weather in Volda at any given time. We have a lot of dramatic weather, so this can be a real thrill! For pictures, check the links to the left. This one shows (among others) two of my colleagues, Eivind and Arnljot, doing typical macho Volda things to some of the nature that is so abundantly present here. I just wanted to remind you all that Salam Pax is still blogging, and it's still worth reading - perhaps even more now, as he with delightful flair writes about common american soldiers as well as common Iraqi civilians. Norwegian media have discovered flashmobs - sudden gatherings of people who perform meaningless stunts. flashmob.co.uk has a description of phenomenon and some information about when where and how to participate in the UK. The article in Dagbladet.no discusses the potential political meaning of this, and how it can be used to reach political goals. That is a little late. Cellphone and email technology has already been used to gather demonstrators. At the beginning of the war in Iraq there were anti-war rallies like these stunts in several cities in the US. It's just an other communication technology and of course it can be used for rallies, demonstrations and what ever else. Before the last election in Norway, my daughter signed up on a SMS list where she got messages from the socialist party - SV - with comments on the most recent political discussions, targeted towards youths. She really enjoyed that, the sender was supposedly Kristin Halvorsen, leader of the socialist party, and it gave her a feeling of being part of the campaign before the election. So somebody have discovered that sending text messages can make a lot of people show up at the same place at the same time and do the same thing. At the excursion to Oslo this spring, my students coordinated four days of visits and socialising through sms, sending out group messages about changes in the schedule etc. I signed on a list that let me know what goes on at a club in Oslo (yeah as if I need to know while I am in Volda...). Personally I think the fact that people do this just for fun, as a game, is a lot more interesting than if people do it with a purpose. I love this kind of corruption of otherwise utilitarian tools. More cool educations: Game Degrees at The University of Advancing Technology in Tempe, Arizona. A bachelor in video game design, anyone? Are you in Saõ Paulo in Brazil and don't know what to do next week? I suggest the file festival, the symposium or hipersonica. Apart from the fact that I'd love to actually be in Brazil, I'd love to be in a festival of electronic language. Probably as far from the New Norwegian festival arranged every year in Volda and Ørsta as you can get, not just geographically! I have the background more or less whipped into shape, and the rest will come as we build and the builders make the stories of their little piece of the world. This part of creating a MUD has a very strong narrative flavour, but the narratives are not written out in the MUD but expressed as the end result: the areas, the objects and the quests. It's frequently possible to reconstruct the narrative behind a well-built area through these things: a ruin of burned wood and scorched, fire-damaged stoned where orc arrowheads are lodged in the spines of human skeletons tells a story of bitter defeat. Add a small, shallow grave, and some survivor used their last strength to bury a child. Put an overgrown garden of exotic herbs in the back, and the people who lived here were healers, mages or perhaps even assassins, growing what they need for their poisons, depening on the herbs. This is storytelling through indexical signs: putting the story together from its effects. For a player to be able to get these hints, they need to be pretty obvious though. There are different ways to do this. We can create a complex history of the world, and insist that the players read it. This is common in MUDs: the immortals make complex, elegant creations, and the ideal players spend their time reading rather than just jumping in and go hacking through the universe. This gives you players who are devoted to reading, who like details and who get impressed with complex emotes and subtle turns of phrase. Or we can rely on cliches, depend on the typical fantasy fare and hope that everybody have read the same books about orcs and elves. This gives you hack'n'slash world where orcs carry uzis and elves drive magical motorbikes to battle. High coolness factor for the individual - not so much coherent development of mutual plots. I want to be somewhere in the middle. Salmagundi is a typical high fantasy world, and it contains the standard fare: elves, orcs, dwarves, trolls - as well as some different ones. It relies on board-gaming and D&D for a lot of the statistics, as well as the rules of role-playing. But at the same time it is original and has a few features players need to read up on, such as the history of the shards and the faith of small gods. One thing I am looking for at the moment is a conflict. I need an underlying conflict that is clear enough that the players can use it to create their own characters, but open enough that it won't be solved anytime soon, since that would be the end of the game. It has to be important, so the collapse of the world should be one option. But why should anybody want that to happen? It's still a mystery to me. I'll be back when I know more. And what do I have to show for it? Repainted some of the kitchen walls, made a few herb-scented and -tasting salads, had crabs and lobster in the boathouse, an allergic reaction to my sister's dogs (and a borrowed one, four of them and big too), a visit from friends and a visit from relatives from afar, repaired the roof (remember the storms this winter?) and while I didn't quite work up a tan I did gain a darker shade of pale. I have discovered several new cocktails, and done a lot of shopping for the kids. Two out of three bikes are repaired, and we have removed the outdoors lamp that all people taller than 175 cm crack their heads into. The new one has not been put up yet. May happen next year, when we'll also paint the house (that's why I stayed home all summer, to be here and paint the house with my family), clean up in the garage (as if) and rearrange a small part of the garden (that may happen, because I think I'll be able to do that alone, or with a teen-ager or two to fetch and carry). But for now, it's back to work, and I am knee-deep in administration that still looks unmanageable after three hours of avoiding it. can be found here. Powered by Movable type, a site for weblogs about roleplay and for play-journals. I have no idea how good this site is - but I like the idea! Salmagundi is the MUD I have mentioned earlier, and yes, it is named after the salad. I am having too much fun, so it took a while before I discovered how relevant the process of building is for my research. Doh! At this point I have a fairly good idea of the history of the world. I don't want it written out in every detail, not just because the tiny details take too much time if we want to actually open the game at some point, but also because working out all the details will leave no room for the players to improvise and make their own histories and interpretations of the history and rules of the world. If we ever get further than the developing stage (which is fun in itself), Kyndig, one of the main immortals, is constructing a web-side with pretty much the same abilities as a tikki wiki. It will be available to the players, and so I will be able to see how the player's interpretation of the story of the game grows around the story itself. That is one of those thigns I really want to study, and although I am looking for funding to study it in a larger scale with MMORPGS, MUDs are perfect for a little pilot study of anything to do with online multiplayer communities. Slavery will probably be a major part of contention at Salmagundi. One of the many great builders drifting towards Salmagundi is building a city where you will either own or be owned. The concept of slavery in Karchoy is based on the idea that the time of a human being is worth money, and if you owe money to somebody, that person owns you until it has been repaid. "Free" means that you don't owe anybody anything. The definition of slavery will be different in other parts of the world. On Jadis, the ice-and-snow shard, slaves will just be any strangers who happen to fall prey to your party. All who are not like yourself, are automatically considered to not be people, and so slavery doesn't really exist, only the care for and use of livestock. I am looking forwards to seeing if this will be picked up by the players, if they will rebel against slavery or accept it, and if we will have players plotting revolts and a change of society. and I am also concerned about this, because if they manage to make a reasonable case for overthrowing slavery, we will have to rebuild large areas, change hundreds of NPCs... I can of course avoid that by giving all the different areas different reasons for having slaves, and different leadership, so there would have to be not just one revolt, but several. In other words, I make work for ourselves and the builders. But I still want the slavery topic to be visible, even if it's just one of more areas of contention we are planning for Salmagundi. And not because I was offline. Oh no. My creativity has found a new outlet, I have been writing until my hands hurt and I have almost forgotten about my exercizes. I have been creating Salmagundi, refusing to visit this or any other reality that might remind me that Monday I have to be back at work. I hardly even read email, I am just in severe vacation-ending denial. First few weeks I didn't know what to do away from work.... now I don't want to go back. Probably healthy, to learn to enjoy life outside the office. But painful. But today I got a note in the mail telling me there are new books waiting in the post-office. I know they are work-related. Hopefully they will ease my transition back into the routine of being productive, not just creative.